ROANOKE, VIRGINIA- "Life is worth nothing unless I use it for doing the work assigned me by the Lord Jesus Christ. The work of telling others about the Good News of God's mighty kindness and love" (Acts 20:24 LB). Philip Ayers was born in Roanoke, Virginia, on March 2nd, 1948. He is the second born of a family of five. Very early in his life, his family moved to Salem, Virginia, where he resided until he joined the United States Marine Corps. Today, he resides in Roanoke, Virginia. Philip's childhood was characterized by an abusive environment. His father was an alcoholic, and a very angry man. This would lead to his mother's death by suicide when he was fifteen. His childhood and adolescence years were monopolized by playing sports. He played football and baseball in the sandlot programs. He continued to play football, baseball and basketball while in high school. Sports were his way to escape his home life. He left his home and joined the United States Marine Corps when he was seventeen. 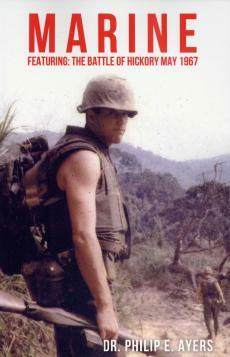 While in the Corps, he served in the Viet Nam conflict. He was wounded three times, and was awarded the Navy Commendation Medal with Combat "V" for heroic service beyond the call of duty. He played quarterback for the Marine Corps' national football team, the Quantico Marines. He served four years, and was honorably discharged at the rank of sergeant. He worked for the Norfolk Southern Railway and raised his family during this period. He and his wife (deceased) had four children. He graduated from Virginia Western Community College. He, also, played semi-professional football for the Roanoke Buckskins (a farm club of the Washington Redskins), and raced ten years in the Late Model Sportsman division of NASCAR. He is licensed by the United States Golf Teachers Federation as a professional golf instructor. He presently teaches Golf I & II, as well as Philosophy and Old and New Testament Survey at Virginia Western Community College. His life would take a very different direction than he had planned on March 30th, 1980. That Sunday morning he would give his life to Jesus Christ. God called him to ministry, and worked quickly in his life. He graduated from Colonial Bible College and Trinity College of the Bible with a degree in Religious Education. He graduated from Trinity Theological Seminary in 1983, and from Liberty University with a Master Degree in Counseling in 1991. He earned Doctrinal degree at Liberty University and graduated in May 2005. Soon after graduation, he was called to his first church, Nineveh Baptist Church. His current church, Glade Creek Baptist Church, called him in 1984. He is serving there in his twenty-ninth year. Philip married Lois Behuniak, on June 17, 1989. She is a very devoted Christian woman. She has brought peace and security to his life. 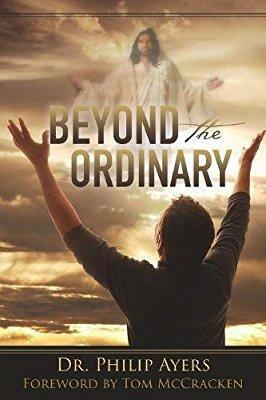 She is a huge part of the ministry, and brings wonderful insight into the work of the Lord Jesus Christ. They have a blended family with six children and six beautiful grandchildren. 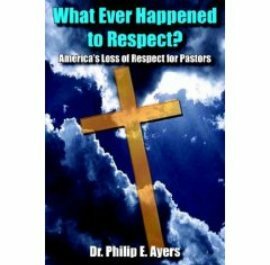 He is the founder of Dr. Phil Ministy & Partners (formerly Arise Ministry), and is the senior pastor of Glade Creek Baptist Church. Philip's messages tackle such issues as divorce recovery, personal crises, emotions of low self-esteem, relationships, parenting and the family, true worship and doctrinal truths of our faith. He is the chaplain for the Blue Ridge Christian Riders of the CMA (Christian Motorcyclist Association). His instructional teaching for personal growth focuses on prayer, the character of God, the person of Jesus Christ and fellowship of the Holy Spirit. Philip fervently believes the Bible to be the inerrant Word of God, a belief strongly shared in his teaching. He knows God's love covers a multitude of sins. He has the inspirational ability to share God's integrity in the work environment, civic groups, schools, athletic teams, and churches. He has spent a good amount of his life in each of these environments. You can feel confident in inviting him to speak to your group. He has become known as Dr. Phil by his friends and associates. May God always receive the honor and glory for every good thing done!